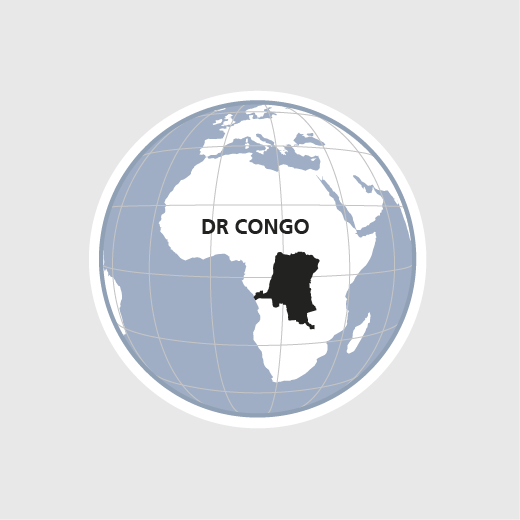 The Democratic Republic of the Congo is rich in natural resources. Yet there is considerable poverty in the society. Moreover, bad governance and strife have rendered the social and political situation highly unstable. The crime rate is high and violence against women is rife. Land conflicts lead repeatedly to violence and ethnic tensions. HEKS/EPER is playing a part in conflict prevention and resolution. Local partner organizations advise and support young ex-militia fighters or soldiers in embarking on a professional life, they provide psycho-social support and medical care for female victims of violence and assist farming families in securing their right to own land and in boosting agricultural output. In 2017, some 19000 people living in a conflict-ridden environment were reached through peace initiatives or protective measures.